I don’t know how else to say this but Belgrade is exactly as I left it two years ago. 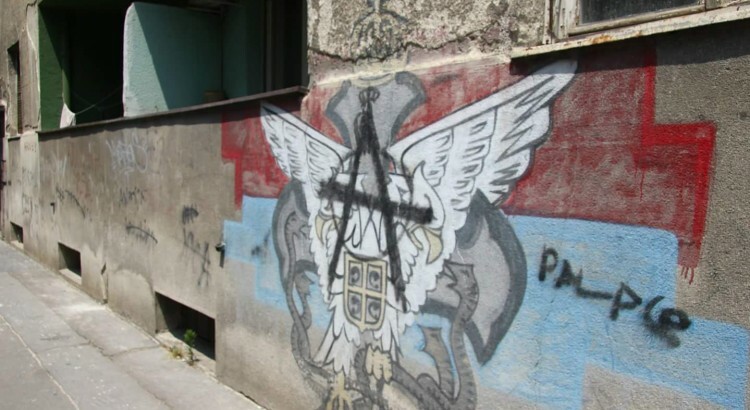 The city is still just as gray and hectic without any substantial amount of color or order except for the bold, neatly ordered reds, blues, and whites which line the streets in the form of the Serbian national flag. The monuments remain stationary with the only additions or detractions to their character being the bright white droppings left behind by the city’s thriving pigeon population. 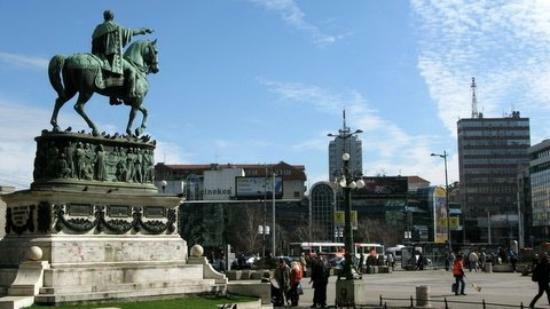 The National Museum (Narodna Muzej) situated in the main square (Trg Republike) is still under construction with the only promise of progress emanating from a recently added countdown timer which numbered some three hundred days. Who knows at which number it started? The city even sounds the same with the innumerable aging Yugos drowning out the more modern Volkswagens and Peugeots. Fortunately, the people have also remained the same. 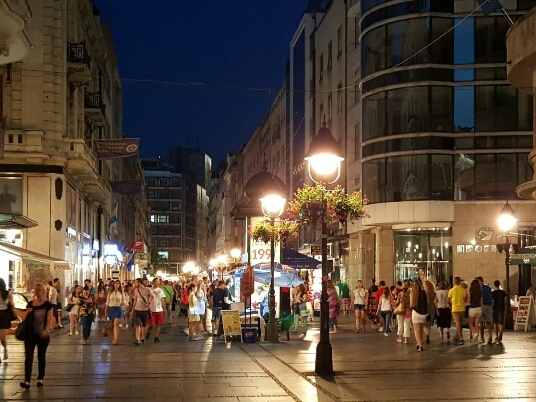 Many of the same shops yet line the pedestrian street Knez Mihajlova. Many of these shops even still sell many of the same souvenirs which I had brought home from my last visit. 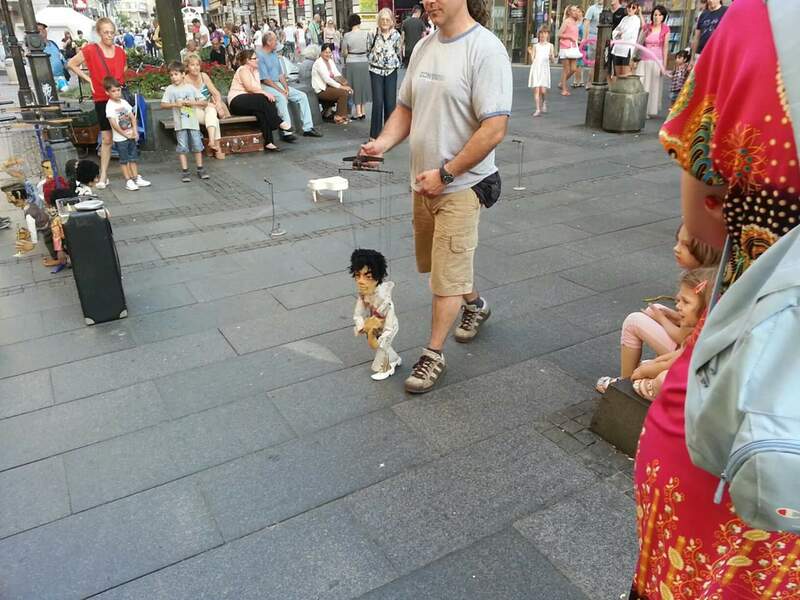 The street performers still perform as if their livelihood was not dependant on the generosity of the passers-by. The passers-by still continue to contribute their dinars as if it was their first time seeing the performance. 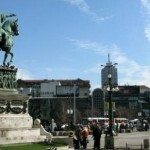 In fact all the citizens of Belgrade, even the most unsavory of the lot, bring color to the otherwise grey ‘White City. 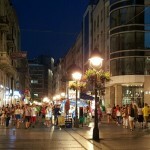 If one values experiencing authentic traditional cuisine the food found in Belgrade is also amazing. Among the favored dishes are ćevapi, pljeskavice, šopska and srpska salata, and the Karađorđe snicle which is also known as the ‘women’s delight.’ To wash all of this down one might order one of the preferred brands of beer Jelena or Lav. If beer is not strong enough try the National drink of Serbia: rakija (plum brandy.) If one is not an adventurous eater one can stop by one of the many McDonald’s or the lone KFC. Not adventurous but still want to drink? 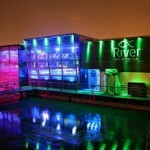 Don’t worry these locations also serve a variety of alcoholic beverages to nearly anyone who requests one. Largely due to the sheer number of cafes, cafanas, and cafiće, many locations appear to be vacant for much of the day except for perhaps the lone bartender or sole patron sipping an espresso. If dining before six it is fairly likely that you might very well be the the sole customer. If this proves to be the case don’t be surprised to see the waited glare at you while making a phone call to the cook which will arrive some minutes later to prepare the food. At night the city begins to both literally and metaphorically glow. This glow can be found shining from along the city’s avenues as the street side cafes come to life. While they open as early as 5 am it is not until after 9 pm that they begin to attract customers in droves with promises of alcohol, coffee, and a place to smoke. 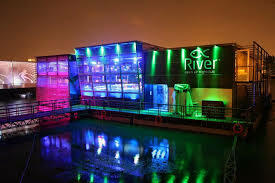 When the cafes close many Belgraders visit one of the city’s many nightclubs found under Branko’s bridge or along the river where one can find floating river clubs called splave situated along the river Sava.bi During the summer it is not unusual for these clubs to remain packed into the early morning. 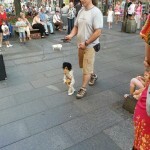 I remember the picture of the puppeteer from last time. Other then the pigeon droppings, is the city really as clean as your pictures make them appear? Another great entry. Thanks for sharing.